Welcome to another Technology Tuesday. For some, summer is just getting started, for others it is coming to an end. Around this time teachers start heading to stores for back to school sales and start thinking about the first few weeks of school. 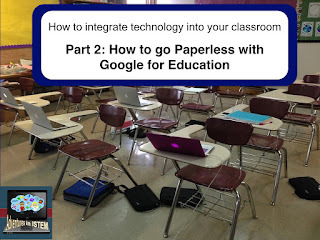 With that in mind I have decided to put together a three part series to help you get your classroom ready for digital learning. Part 2: How to set up Google Classroom and How to use Google Forms to gather information about students during the first few days of school. Most school districts have embraced Google Education as a means to integrate technology into the classroom. With Google Education districts and schools are able to set students up with user names and passwords and put restrictions on them to make it safer for students to work within the cloud. It also allows teachers to use Google Classroom. Google Classroom is not an LMS (Learning Management System). It is similar to blackboard. It is a place where teachers can post useful documents, assignments, and announcements. When you enter classroom you will create a class using the + sign in the corner. Once you have created the class you simply give your students the class code so they can join. 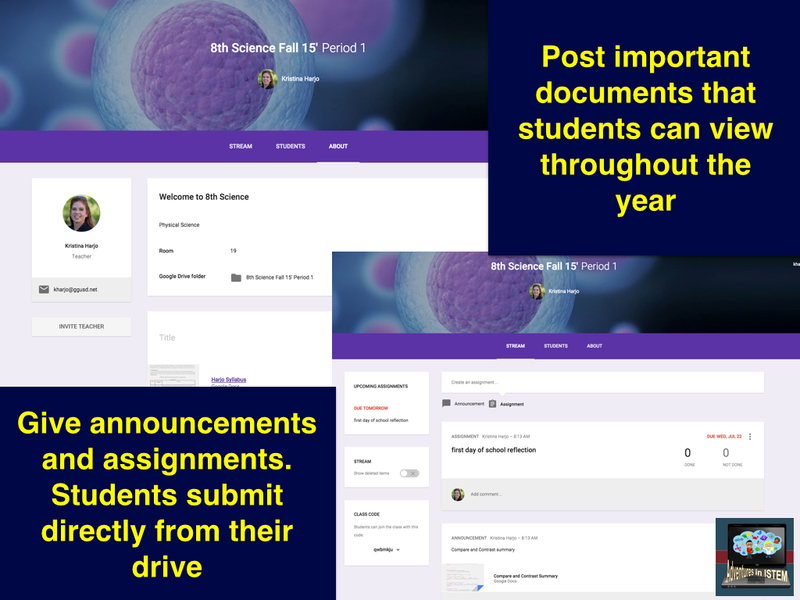 In their main stream you can give students announcements and give them assignments. If you create a document in your Google drive and you want to share it with your students you simple go to add assignments and then attach your document to the assignment. Classroom will make an individual copy for all students. When the students open the assignment they will be able to write on it and then click the turn in blue button at the top to submit it when they are done. 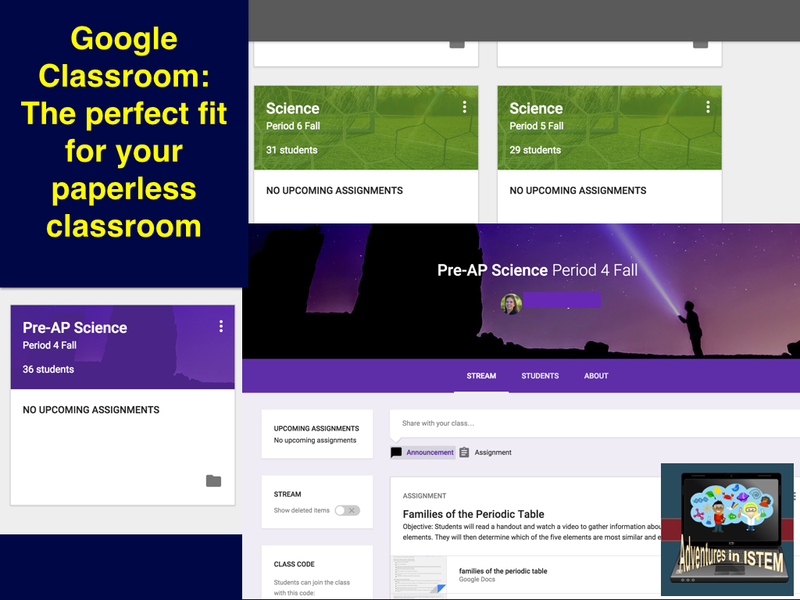 Using Google classroom is the easiest way to share and gather products from Google drive. For more information on how to set up google drive check out this video. One of my favorite features in Google drive is Google forms. I use google forms to gather information about my students. Before a test I use Google forms as a review. When students get the question correct the go to the next question. If, however, they get the question incorrect it will bring them to a help page to review the topic and then back to the question to try again. I use it for their major tests and quizzes to gather information about how they are doing. I can create multiple choice, short answer, essay questions, and many more for a variety of leveled questions. At the beginning of the year I use it to gather information about my students. Since I use technology in my class and I incorporate the flipped model I need to know if my students are able to get onto the internet at home and how comfortable they are in using technology. I ask them a variety of questions about what type of technology they use, how reliable their internet connection is at home, how comfortable they are with using technology, and what they use technology for. Once I have this information I use it to help group students to make sure that students that are used to technology are with someone who is very good with it and can help them. I also make sure that the students who don't have internet at home have a place to watch the flipped videos. 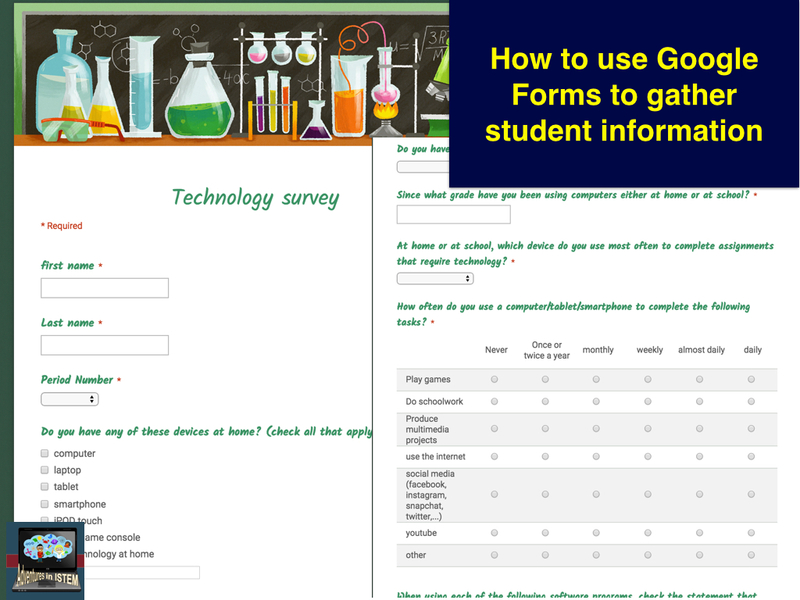 What are some things you use Google forms for? Let me know in the comments below.